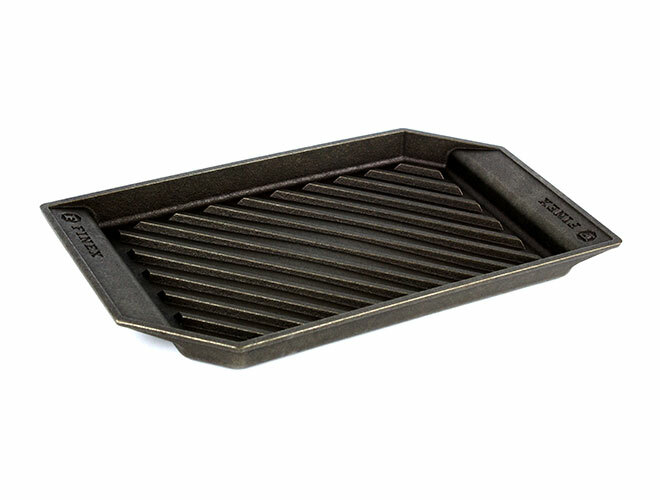 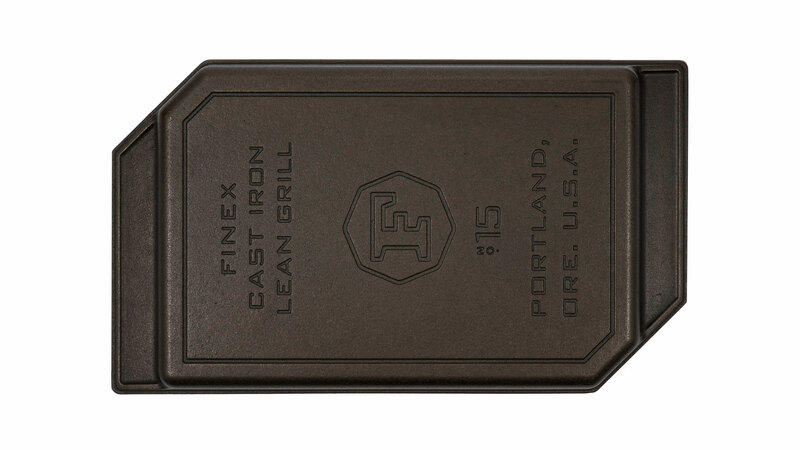 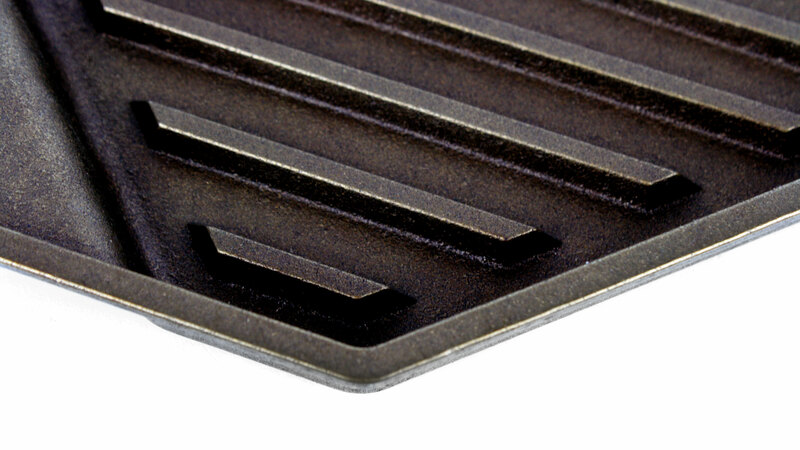 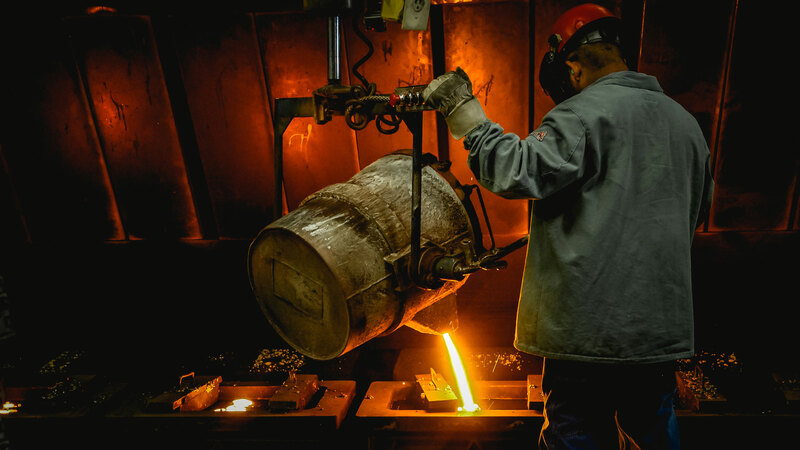 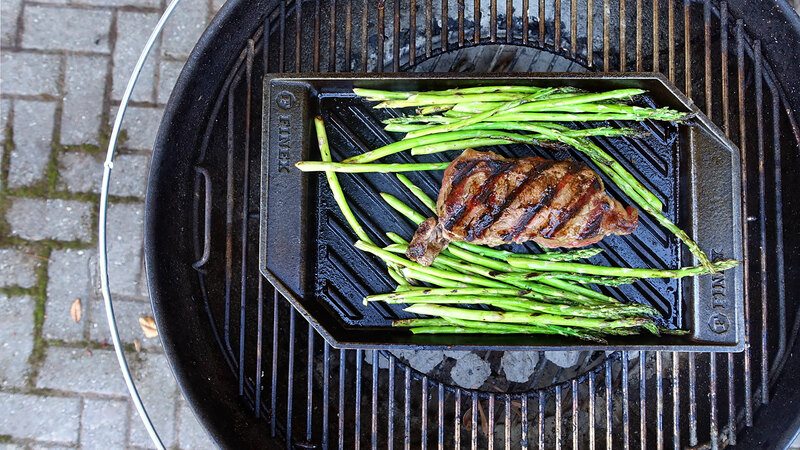 The Finex Cast Iron Lean Grill Pan features a domed interior surface that drains fat and grilling juices to the pan's margins, ensuring that grilled foods gain flavor, not fat. 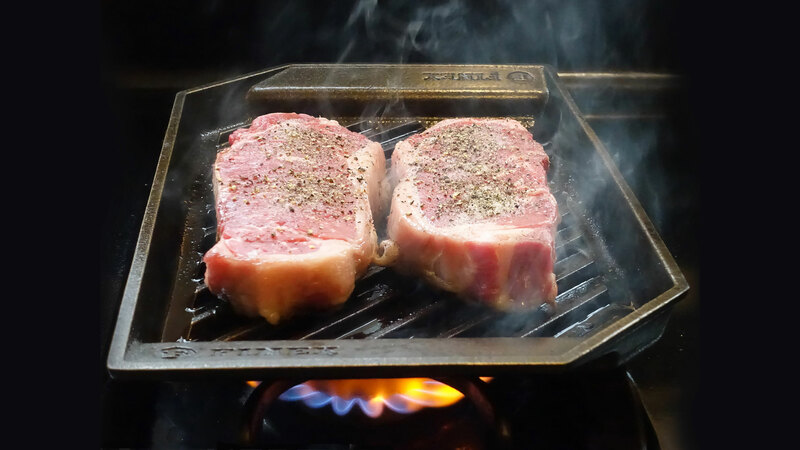 Rich marbled steaks, juicy burgers and well marinated vegetables often release excess fat and juices which fries or steams, instead of grilling. 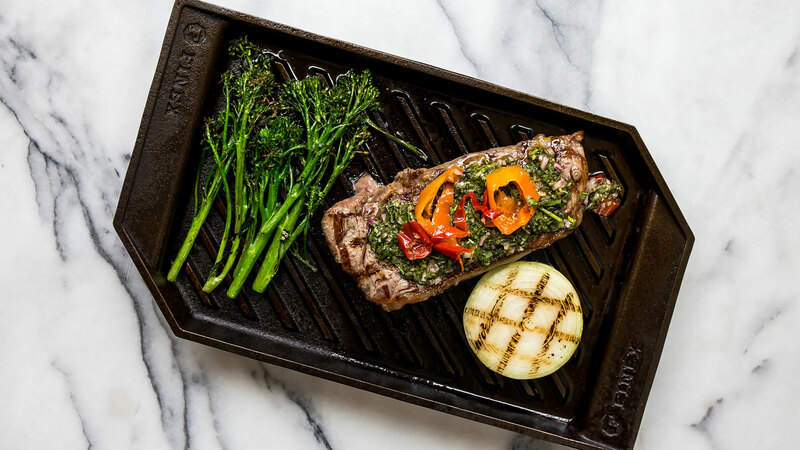 This grill pan solves these juicy problems with a patented domed drainage base that channels drippings to the pan's edges and away from trouble, delivering honest-to-goodness grilling flavor without the fat. 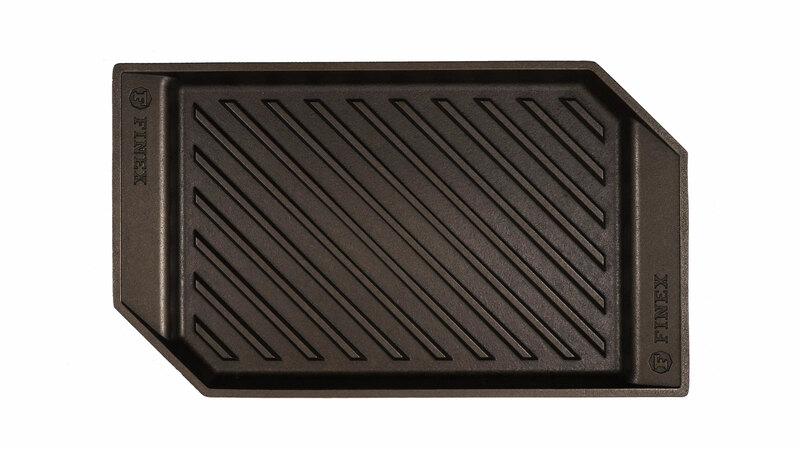 It also has an oversized grilling surface leaving room to flip the largest cuts and quantities with ease. 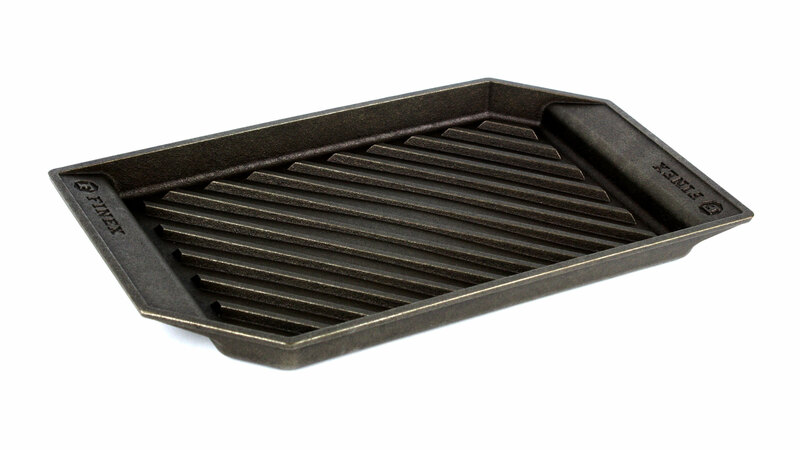 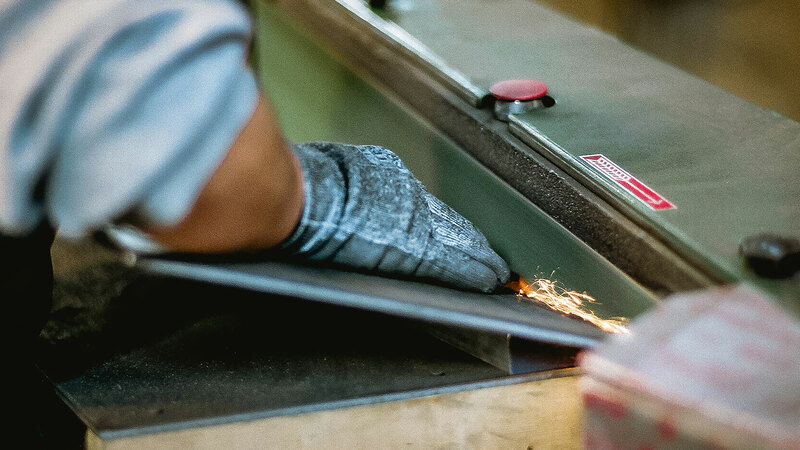 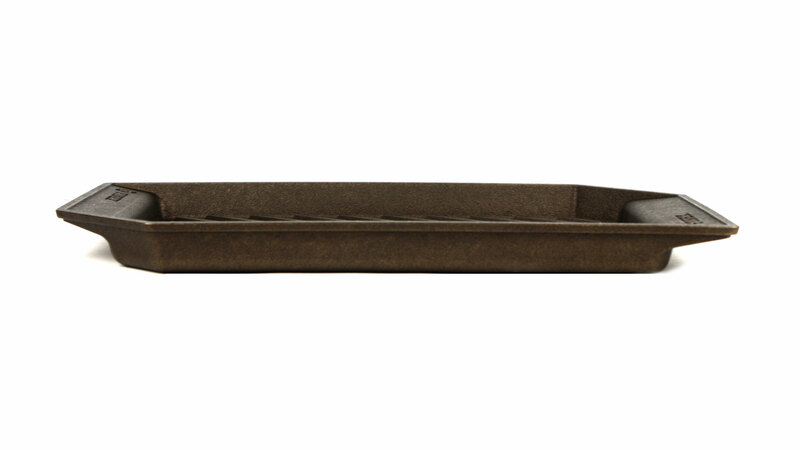 While its low profile rectangular shape makes the Lean Grill Pan easy to store in drawers or cupboards we think it looks good enough to leave out on the stovetop for year-round grilling inspiration.